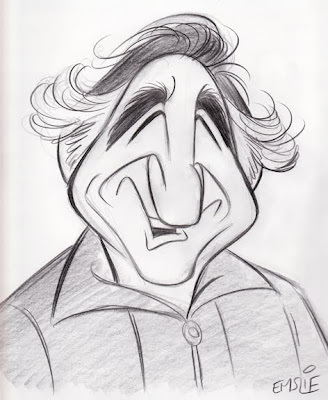 The Cartoon Cave: Happy Birthday, Judd Hirsch! Great job as always, Pete! This is great just the way it is Pete.I started laughing as soon as I clicked on.To see such good drafting is wonderful. Marcelo - Thanks for that info, as I was hoping your gallery could still be accessed! Mark and Tony - Thanks for thumbs up! I'll try to add my pencil rough to the David Niven post as you'd requested before, Tony. Thanks for your interest. I hope you didn't mind, but I thought it would be fun to practice some inking on your pencil rought. You can have a look at it, here.